Louise Renton, from Duns, captured the effects of Storm Doris at Crichness, near Cranshaws, last Thursday. I have been mystified in recent months as to the position that may arise out of impending negotiations between the UK Government and the other constituent countries of the EU. In the event that no satisfactory conclusion can be reached, what may happen? Our country could be left with no alternative other than to begin negotiations elsewhere after a period of using World Trade Organisation tariffs for duties. Such a course of action, we are led to believe, is likely to take many years to come to any conclusion. This is likely to be damaging to our economy, not to mention the reputation of the country. It could be a disaster for all of us. There may be an alternative available to us. There may be an option open to our government. We, the electorate, were not given much, if any, information at the time of the referendum last year. We all indicated our preference based mainly on prejudices on one side or the other of the argument. Hard facts were not put before us to assist us in coming to a reasoned decision. It was reported in late autumn last year that it had been stated by Lord Kerr of Kinlochard, who had been involved in the drafting of the Lisbon Treaty which now governs the constitution of the EU, that notice to withdraw from the EU could be withdrawn at any time prior to the end of the negotiation period (initially two years, but by mutual agreement can be extended indefinitely). The UK Government has stated that once notice is served, which is intended to be done by March 31 this year, we are committed. I recently wrote to my MP, Callum Kerr, about this as it seemed to me unreasonable that the referendum result should be treated as binding, whatever the outcome of subsequent negotiations. He responded to the effect that withdrawal of an Article 50 notice was not possible. In view of the situation, I contacted Lord Kerr. He promptly responded to me indicating (I quote from his email to me): “notification under Article 50 can be withdrawn at any time before the expiry of the two-year negotiating period or any agreed extension of it. When drafting it, the EU legal advice I received was that, since the notifying state would remain a full member of the EU until a deal was struck (or the clock ran down), the normal EU rules would apply: a member-state can change its mind, and its vote in the council, at any time; and this not infrequently happens, e.g. after an election. In the case of Article 50, revocability was confirmed by the president of the European Council in October”. Lord Kerr went on to point out to me that during the House of Lords debate concerning the bill leading to service of the notice under Article 50, Lord Bridges, the Brexit minister, stated “as a matter of firm policy”, the government would not withdraw its notification. Accordingly, it seems to me that our government has taken the view that it is Brexit or bust. The referendum was decided on the basis of 52% of 72% of the registered electors who could be bothered to vote. That is effectively 37% of the total registered voters. Perhaps the fact that 58% of Conservative voters wished to leave the EU is why the government is so set on Brexit at all costs? Whatever the outcome of negotiations with the other EU member states, the UK will come out, possibly at the end of two years, even if these are incomplete. My understanding is that all member states must agree to an extension of time, so it would just take one dissenter to prevent any “tidying up” to take place. This cannot be good for Great Britain, and maybe not be for the remaining member states. Bearing in mind that it appears that certainly one local MP is not aware of the possibility of revoking the withdrawal notice under Article 50, I wonder how many more are in ignorance of that fact? Perhaps this could be a deliberate policy of the government so that difficult questions are not raised in the Commons? Bearing in mind that the government has promised that parliament will be kept fully informed of progress of the negotiations, surely it should be open for us all to have a further say if and when negotiations are concluded prior to finalising so radical a change to our relationship with our nearest neighbours. Those of us old enough to recall the 1970s will remember that we had two referenda, in 1972 and 1975 respectively. Why should there not be another one now when details are known, and we are then able to make an informed decision, one way or the other? Beveridge Row/Jackman’s Folly is not the only planning decision where a Scottish Government-appointed reporter has overturned local democracy in the favour of a large business. In 2009, the East Lothian planning committee, of which I was a member, unanimously refused plans by Viridor to build an energy-from-waste plant on its land at Oxwellmains, near Dunbar. There were many concerns about the proposal, including pollution, but particularly about transport movements across the dangerous cement works junction on the A1 and the lack of any clear heat plan for use of the heat generated in the form of hot water which has to be piped to the point of use. In December 2010, reporter Scott Ferrie overturned the local decision. He set a number of conditions, but these conditions seem to be toothless. Firstly, it was stated that waste brought to the plant should only be from the local area (proximity principle). However, no local authority took up the option. With a change in Scottish Government policy, the proximity principle was dropped. Currently, plans are for 260,000 tons a year to be brought by road from the Clyde Valley and South Lanarkshire. Based on 40-ton lorries, that is around 125 lorries a week using the dangerous A1 junction and burning diesel fuel to bring it here. Hardly a green option. Secondly, the reporter stated that prior to the start of plant operations, a heat plan must be agreed by the local planning authority, East Lothian Council (ELC). The heat needs multiple users as it has to be used 24 hours a day. Viridor wish any user to pay for it to be piped from the periphery of the plant to the point of use – a very expensive proposal. Since that time, Viridor have started to build the plant. Chris Bruce, of East Lammermuir Community Council, and I have repeatedly asked Viridor for an update on the heat plan without success. Information given at Viridor liaison committees, which I attend, has been sparse. I have raised concerns with ELC and SEPA (Scottish Environment Protection Agency). In February 2017, an SEPA inspector sent me the latest heat plan. It contains the same unrealistic suggestions as the planning committee rejected in 2009, but presented slightly differently. There are no certain users for the heat. The wishful thinking suggestions dress up the lack of any viable use for the heat and seem no better than a work of fiction prepared by the Brothers Grimm or Hans Christian Anderson. Viridor seems to hope that once the plant is up and running, they will have five to seven years to find somebody to use its heat. I have seen similar plants in operation – e.g. in Sweden and there are other plants in the UK. However, they are near places of population with multiple heat users. An alternative site for this plant had been closer to Edinburgh which rejected it and Viridor happened to own this land that is distant from any potential users. The plant is sited in the wrong place which is why it was refused in 2009. What is clear is that Dunbar will see an incinerator burning rubbish from the west of Scotland brought by lorries across a dangerous A1 junction without any clear benefit to the local community, aside from an electricity connection to the National Grid. After Germany, which contributes £14bn euros a year, Britain is the EU’s biggest paymaster, paying £12bn euros annually, double that of France. The biggest expenditure of the EU is on CAP, the much-criticised Common Agricultural Policy which takes 40% of its budget. Only 40% of Britain’s contribution to CAP is returned to our farmers, most through the area payment scheme. The largest landowners receive most cash. Sir James Dyson, the vacuum cleaner manufacturer, gets £1.4m a year for farming in Lincolnshire, while the Parker family (no relation, I am sure, of Scottish Borders Council leader David Parker!) receives £1.1m. Meanwhile, small farms receive little and struggle to survive. Fraud has also been a problem with CAP. Greek farmers declared scrub and semi-desert as pasture, while a Spanish farmer received payments for arable land which was actually a motocross track. Subsidies flowed unchecked. Britain receives about £2.5bn from CAP paid to our farmers of the £6.2bn we pay in, so when we leave the EU the UK government could easily continue to pay or increase farm support in a better way. Prime Minister Theresa May has already guaranteed CAP payments to 2020, but after that surely the UK should look at farm subsidies afresh. We require to look anew at how the land is used. Of course we need to produce as much high-quality food as possible, but Brexit is a tremendous opportunity to make changes to land use backed by the billions of savings the UK will make by leaving CAP. Woodland planning would be one thing which could be financially supported, for example. 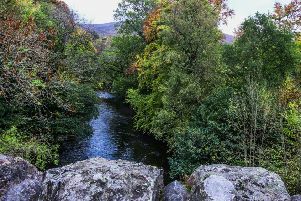 Lauderdale and some other parts of the Borders would benefit from tree-planting schemes on hillsides, rural roadsides, farms and around villages. We need wood for economic use. But trees also provide shelter, improve biodiversity, temporise rainstorms, take in CO2 and enhance the environment. My assertion that supporters of Scottish independence rejected fearmongering and based their hope for the future on the many assets which Scotland already enjoys was recently challenged in your letters pages. It was also suggested that people who voted Yes in 2014 did so with their heart rather than their head. While I have an emotional connection with Scotland, I am not prepared to gamble the future of our children and grandchildren on a mere whim. It was also helpful to have the ability to see beyond ephemeral events such as a rise or fall in employment rates, changes in bank interests, pot-holed roads etc., and view a long-term future for Scotland. So may I present a few of the facts which convinced more than 45% of voters to choose Yes? At just over five million, Scotland’s population is only 8.3% of the UK total. Yet Scotland has 32% of the land area, 61% of the sea area, 90% of surface fresh water, 65% of natural gas and 96.5% of crude oil production. We have 62% of timber production from 46% of the total forest area. We have 92% of hydroelectric and 40% wind, wave and solar energy production. Fish landings from Scottish waters are 55%, beef production is 30%, lamb 20% and dairy 10%. Our cereal holdings are 15% and potato 20%. All for a population of only 8.3% – where does all that excess go? Add to this cornucopia a highly-educated population with some of the top universities in the world, an adaptive and motivated workforce, an established efficient administrative system, great infrastructure, highly-profitable exports, and you have a recipe which can only lead to success. That success will be evident when Scotland has total control of the economy – the floodgates will open. So I have a question for the Unionists who write to you with their doom-laden letters of how helpless and useless Scotland is. If this wonderful country of ours is such a basketcase, why is Westminster brutally determined that Scotland will never be independent? I know the answer, but do they? Due to a U-turn by the SNP on LBTT (land and buildings transaction tax), Revenue Scotland reports revenue has dropped £16m over the period December 2016/January 2017 to only £34m. Now higher income tax, national insurance and council tax bills will follow to pay for it. The SNP is raiding the ordinary taxpayer once more for its ill-conceived measures. Duns Parish Church choir held its annual coffee morning in the church halls on Saturday, February 25, at which £531 was raised. A huge thank you to all who helped, contributed and supported us in any way. The winner of our quiz was Dr Alison Brown from Merse Medical Practice in Duns. I thank all who took part in our coffee morning in Eyemouth on January 14. We raised £1,050 for Lindean House in the Borders. It gives first-class care and support for those who suffer with mental issues. We thank all who donated scones, baking and prizes for the raffles. We are particularly grateful to David and Janice Walker, and to the folk of Eyemouth who made the occasion such a success.